For those who appreciate how form and function can fuse effortlessly in a cleverly designed Lobby. Think handy Concierge for signing for grocery deliveries, receiving your latest e-purchases, or greeting guests. Weekend kick-off? Private party with friends? You decide, then book the Party Room to host it. 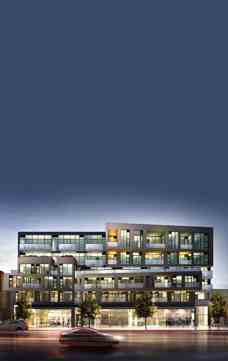 Ossington's latest hotspot comes complete with a comfortable lounge, dining area and kitchen, Outdoor Terrace with barbeque, communal dining table and seating area overlooking the action on Ossignton. Sure, you’ll be tempted to engage in a little humblebrag every now and then. Especially when you call 109OZ your home. Completely understandable. After all, just look at what life on Ossington offers up. Non-stop art, resto-bars seemingly known only to the locals, live music spilling out into the streets. Plus everything you need to make your 24/7 function the way it should. So, humblebrag? Well, maybe just a little. 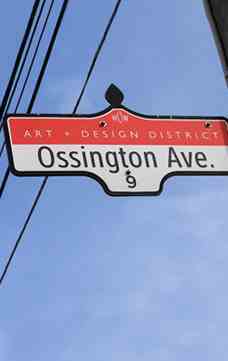 Main Intersection : Dundas St. West & Ossington Ave.